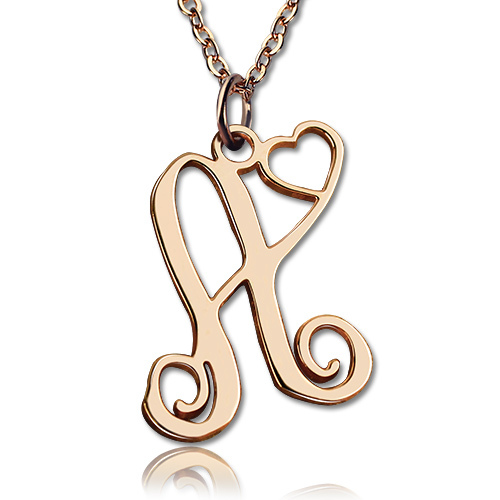 This Initial pendant necklace features Solid gold in a fun font that highlights a significant initial. It's dainty but makes great impact, perfect for becoming a signature piece. If you are looking for the perfect personalized monogram pendant, there is no better choice than the Initial Monogram Necklace in Solid Rose Gold. This necklace made of Solid Gold, is one of the hottest personalized jewelry trends on the market! Love the way the initial monogram necklace on this silver round link necklace! Fantastic for wearing casual by itself or layering!